The completion in September of a four-year AHRC-funded research project into Andean textiles, Weaving Communities, creates a unique and innovative resource for archaeologists, anthropologists, museum curators, contemporary weavers and the fashion industry. Until now, researchers have had to rely on textile samples in museums to develop their studies, requiring expensive travel to museums spread across the world. This research involves very detailed analysis of weaving techniques and structures which are often difficult to visualise due to their complexity and fragility. Drawing on innovative methodologies, the multidisciplinary and international project based at Birkbeck, University of London, combined work in museum collections and fieldwork, digital documentation and information visualization, and an ontological modelling of the data. 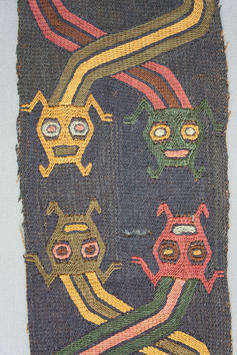 The resulting knowledge base system provides a common yet simple technical language oriented towards understanding the structures and techniques of Andean textiles from a weaver’s point of view.